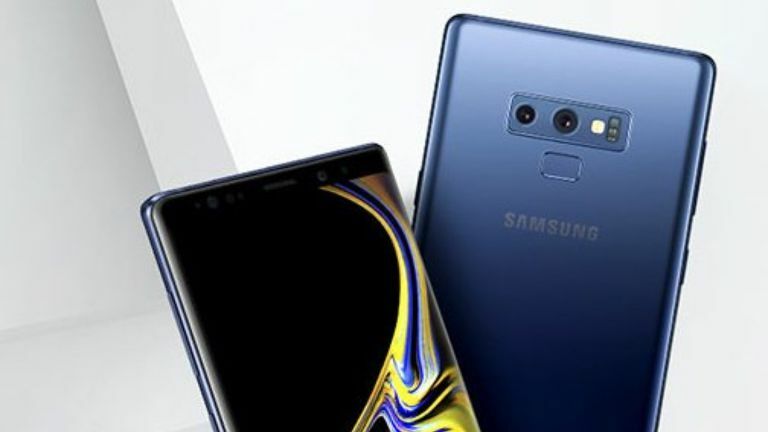 Phone enthusiasts currently torn between upgrading to the Samsung Note 9, Google Pixel 3, or one of Apple's new iPhones this year might have just had the key piece of their purchasing puzzle slotted into place. That's because the purported price of the new Galaxy Note handset has been leaked and, simply put, it is going to be very expensive. How expensive? Well, if a report made by WinFuture's Roland Quandt is accurate - and Quandt does have a near-flawless track record when reporting on mobile industry news and leaks - the Samsung Note 9 pricing will start in Europe at €1050. And, that is bad news for UK phone users, as €1050 converts to a eye-watering £934, a price that could very well increase too thanks to the UK's tanking economy. Quandt says that fee will land you the 128GB model. The top specced Note 9, which comes packing 512GB of storage space, is reported to retail at an even higher price, too, with an estimated fee of €1300 proposed. That converts as an iPhone X price smashing £1,155. The Samsung Note 9 is set for an official unveiling on August 9. Regular readers of T3 will know that the top specced iPhone X, which shipped with 256GB of storage space, retailed at launch for £1,149, so if the pricing proposed by Quandt proves accurate, that would mean the Note 9 would cost even more. And, considering that rumours suggest that Apple is set to reduce the price of its new iPhones across the range in 2018, that record price could prove to be too much of a financial leap for users, especially when competitive productivity-centred rivals like the Huawei P20 Pro and even Samsung's own Galaxy Note 8, will be available for hundreds of pounds less. Would the Note 9's new, Bluetooth-packing, S Pen digital stylus be enough to tempt you to upgrade? Now, admittedly, the Samsung Note 9 does look like it is going to be an absolute productivity powerhouse of an Android flagship phone, with its new S Pen digital stylus promising some next-level functionality, and its screen and hardware slated to be top, top tier. However, considering that Apple reportedly suffered in terms of iPhone X sales due to its very high price point, one can't help but think that, if these price points are accurate, Samsung could have a tricky task in getting users to pull the trigger on a Note 9 upgrade. Unfortunately, we'll have to wait until Samsung Unpacked on August 9 to find out officially just how expensive the Galaxy Note 9 is going to be.